Ludwigia sedoides, commonly known as Mosaic Plant, Mosaic Flower and False Loosestrife, is a herbaceous perennial plant of the family Onagraceae. It has yellow flowers that bloom from June to August. 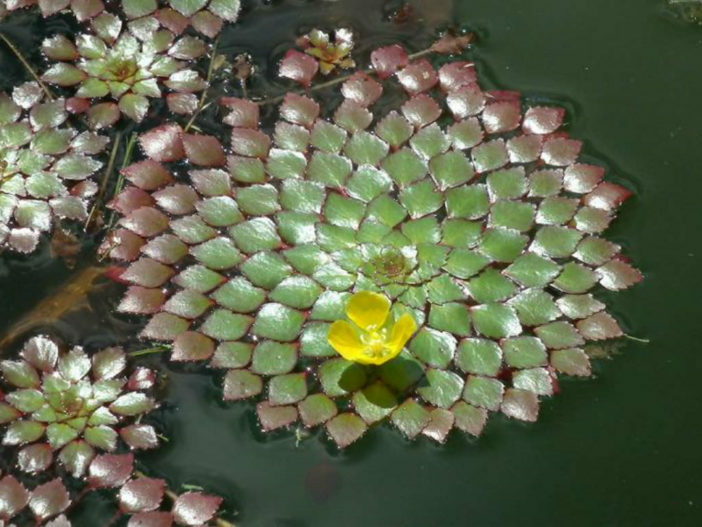 Although the usefulness of this species in the aquascape is markedly limited, its beautiful circles of reddish foliage can lend a unique texture to outdoor ponds. Propagation can be carried out by snipping off a rosette, with a section of stem attached, from the main stem. The main part of the stem is left in the tank. A new rosette will develop on it after a short while.